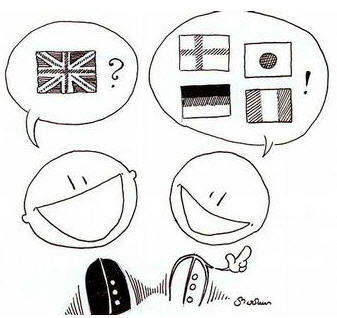 It’s the 26th of September and that means that it’s the European Day of Languages. 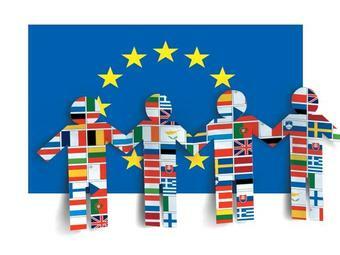 On the eve of the closing event of the “European Year of Languages” (2001) the Committee of Ministers of the Council of Europe declared a “European Day of Languages” to be celebrated each year. The European Commission advocates plurilinguism, and wants people to develop some degree of proficiency in two languages or more to be able to play their full part in democratic citizenship in Europe. This European Day of Languages also raises questions about the role of English as a Lingua Franca (ELF) in Europe; as well as the teaching of European languages in the UK, as in this article in the Guardian. Here at Leiden University, there seems to be a tendency to use English, even when another language, such as Dutch or German, would do just as well. How often do you find yourself speaking English when there’s actually no pressing need for it? What is the reason for using English (as a lingua franca)? This entry was posted in news and tagged critical language awareness, ELF, plurilinguism. Bookmark the permalink. I hope Esperanto won’t be forgotten as ouir thoughts turn to matters of language. I don’t mind at all if anyone chooses to learn English, but I would like to argue the case for wider use of Esperanto. It is a planned language which belongs to no one country or group of states. Esperanto works! I’ve used it in speech and writing in about fifteen countries over recent years. I recommend it to any traveller, as a way of making friendly local contacts.